Just one look at the beaches of Tahiti, and it's easy to understand why it's on plenty of people's bucket lists. Then again, since it's literally on the other side of the world in the middle of the Pacific Ocean, booking a trip there without having to cash out your 401K to finance it is tough. That is, unless someone else is down to foot the bill. Fortunately, there's a way to get someone else to pay for your trip to the South Pacific without having to sign up for SeekingArrangements.com. United Airlines is currently holding a contest to reward the "hardest working person in the country" and a guest with an all-expenses-paid, seven-day trip of a lifetime to Tahiti. The competition, which United is running to celebrate its new non-stop service from San Francisco to Tahiti, is also meant to call attention to the fact that Americans feel overworked and are really, really bad at taking full advantage of their vacation days. The carrier's even teamed up with Project: Time Off, an organization dedicated to convincing people just how essential taking time off to travel is for your livelihood. The specifics of the trip itinerary are insane. 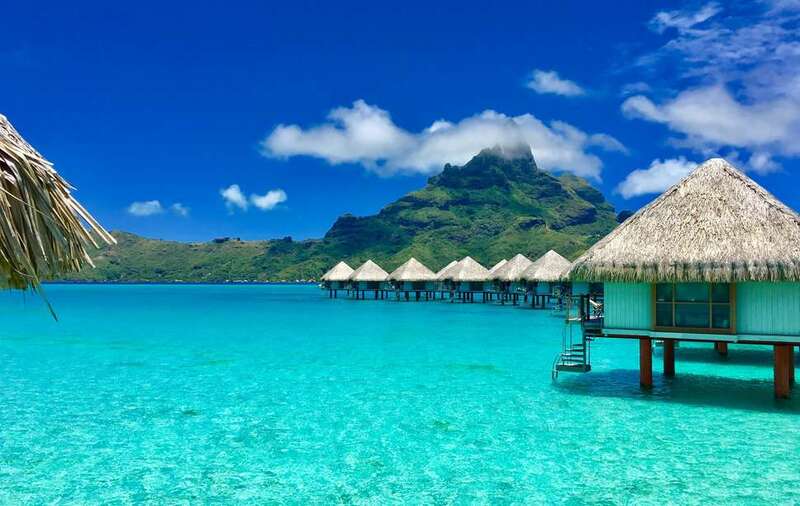 The winner and a guest will receive roundtrip business class airfare from their hometown to Tahiti, and seven nights of accommodations at three different luxury resorts around both Tahiti and neighboring island Moorea. Additionally, they'll get free transportation between the islands, choice of excursions while they're there, and $2,000 to spend on meals and whatever else they want while kicking back on the beach. If you think you or someone you know works hard enough to deserve taking the big prize, all you have to do is submit their name and photo (again, you can nominate yourself), and describe in 300 words or less why they deserve it. Then, they'll judge the entries with the team from Project: Time Off and pick a winner by mid-October. Whoever's chosen will make the voyage at some point after October 30. Admittedly, the odds you'll win the epic trip are probably pretty slim, but that doesn't necessarily mean you're shut out of a kickass vacation this year. In fact, you still have some time to score a flight or two abroad at a deep, deep discount.